Please visit our Open House at 2206 9888 CAMERON ST in Burnaby. 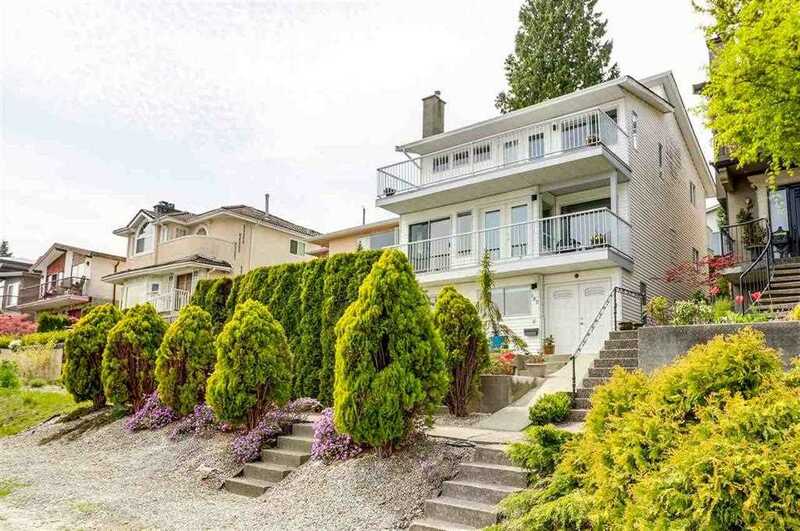 I have listed a new property at 2206 9888 CAMERON ST in Burnaby. I have sold a property at 9788 DAVID DR in Burnaby. Popular Sullivan Heights Bby - New Home (2/5/10 Warranty). Quietly located in the hub - Walking distance to Lougheed Mall, Schools, Coq College, Sky Train, easy access to Hwy & a short bus ride to SFU. Features Include: Master Bedroom - 5 pce ensuite/walk in closet/covered balcony. Bonus: 3 additional bedrooms with 4 pce baths, as well as laundry on the upper floor. Walk into the Main floor & you will enjoy Open Concept Living at its Finest. Marble Entrance, Extensive use of Crown Mouldings, Oversized Windows, 10' ceilings, 2 Gas Fire Places, Radiant Heat, Air Conditioning. Office/Bedroom with 4 pce bath. 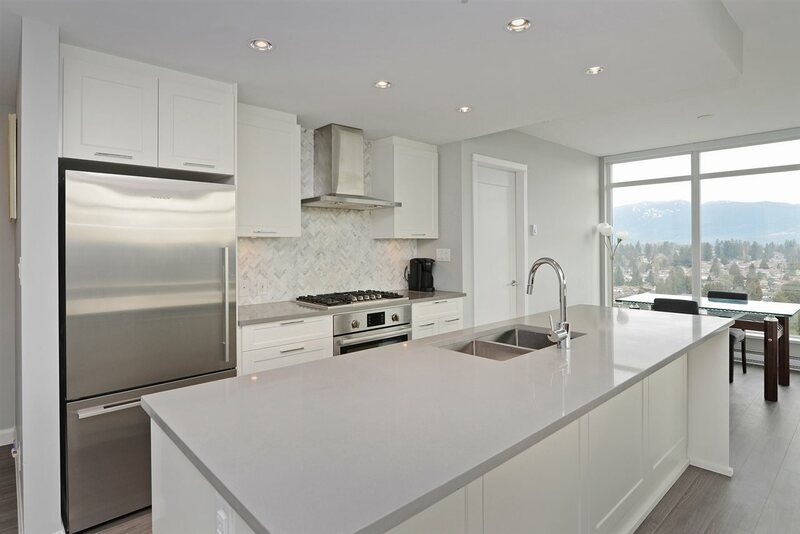 Kitchen Boasts High End Appliances, wok kitchen, Quartz Counters, Games Room, 2 bed Legal Suite. I have sold a property at 1705 3771 BARTLETT CRT in Burnaby. Please visit our Open House at 9788 DAVID DR in Burnaby. I have listed a new property at 1705 3771 BARTLETT CRT in Burnaby. Popular Sullivan Heights Bby - New Home (2/5/10 Warranty). Quietly located in the hub - Walking distance to Lougheed Mall, Schools, Coq College, Sky Train, easy access to Hwy & a short bus ride to SFU. Features Include: Master Bedroom - 5 pce ensuite/walk in closet/covered balcony. Bonus: 3 additional bedrooms with 4 pce baths, as well as laundry on the upper floor. Walk into the Main floor & you will enjoy Open Concept Living at its Finest. Marble Entrance, Extensive use of Crown Mouldings, Oversized Windows, 10' ceilings, 2 Gas Fire Places, Radiant Heat, Air Conditioning. Office/Bedroom with 4 pce bath. Kitchen Boasts High End Appliances, wok kitchen, Qartz Counters, Games Room, 2 bed Legal Suite. Open House Sat. June 9 2-4. Popular Sullivan Heights Bby - New Home (2/5/10 Warranty). Quietly located in the hub - Walking distance to Lougheed Mall, Schools, Coq College, Sky Train, easy access to Hwy & a short bus ride to SFU. Features Include: Master Bedroom - 5 pce ensuite/walk in closet/covered balcony. Bonus: 3 additional bedrooms with 4 pce baths, as well as laundry on the upper floor. Walk into the Main floor & you will enjoy Open Concept Living at its Finest. Marble Entrance, Extensive use of Crown Mouldings, Oversized Windows, 10' ceilings, 2 Gas Fire Places, Radiant Heat, Air Conditioning. Office/Bedroom with 4 pce bath. Kitchen Boasts High End Appliances, wok kitchen, Qartz Counters, Games Room, 2 bed Legal Suite. Open House Sat/Sun June 2 & 3 2-4. Popular Sullivan Heights Bby - New Home (2/5/10 Warranty). Quietly located in the hub - Walking distance to Lougheed Mall, Schools, Coq College, Sky Train, easy access to Hwy & a short bus ride to SFU. Features Include: Master Bedroom - 5 pce ensuite/walk in closet/covered balcony. Bonus: 3 additional bedrooms with 4 pce baths, as well as laundry on the upper floor. Walk into the Main floor & you will enjoy Open Concept Living at its Finest. Marble Entrance, Extensive use of Crown Mouldings, Oversized Windows, 10' ceilings, 2 Gas Fire Places, Radiant Heat, Air Conditioning. Office/Bedroom with 4 pce bath. Kitchen Boasts High End Appliances, wok kitchen, Qartz Counters, Games Room, 2 bed Legal Suite. Open House Sat/Sun. May 5- 6 from 2-4. Popular Sullivan Heights Bby - New Home (2/5/10 Warranty). Quietly located in the hub - Walking distance to Lougheed Mall, Schools, Coq College, Sky Train, easy access to Hwy & a short bus ride to SFU. Features Include: Master Bedroom - 5 pce ensuite/walk in closet/covered balcony. Bonus: 3 additional bedrooms with 4 pce baths, as well as laundry on the upper floor. Walk into the Main floor & you will enjoy Open Concept Living at its Finest. Marble Entrance, Extensive use of Crown Mouldings, Oversized Windows, 10' ceilings, 2 Gas Fire Places, Radiant Heat, Air Conditioning. Office/Bedroom with 4 pce bath. Kitchen Boasts High End Appliances, wok kitchen, Qartz Counters, Games Room, 2 bed Legal Suite. Open House Sunday May 6 from 2-4. Popular Sullivan Heights Bby - New Home (2/5/10 Warranty). Quietly located in the hub - Walking distance to Lougheed Mall, Schools, Coq College, Sky Train, easy access to Hwy & a short bus ride to SFU. Features Include: Master Bedroom - 5 pce ensuite/walk in closet/covered balcony. Bonus: 3 additional bedrooms with 4 pce baths, as well as laundry on the upper floor. Walk into the Main floor & you will enjoy Open Concept Living at its Finest. Marble Entrance, Extensive use of Crown Mouldings, Oversized Windows, 10' ceilings, 2 Gas Fire Places, Radiant Heat, Air Conditioning. Office/Bedroom with 4 pce bath. Kitchen Boasts High End Appliances, wok kitchen, Qartz Counters, Games Room, 2 bed Legal Suite. Open House Sat/Sun April 28 & 29 2-4.